My model portfolios are designed to not just provide investing ideas to readers, but allow me to test out various investing strategies for use in my retirement portfolio. DVDGP is focused on a very diversified portfolio made up of companies with 13+% long-term return potential, bought opportunistically and over time. It's designed to test out how diversified a portfolio can become while still generating significant alpha. 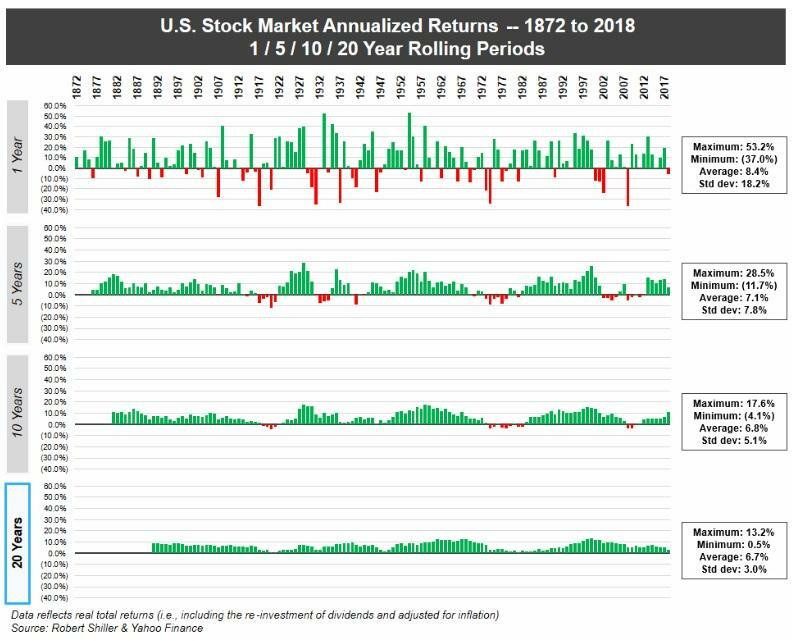 Even in a rising recession risk environment, I will continue to steadily add per its rules because nearly 150 years of market data shows "time in the market is more important than timing the market." In the first 15 weeks, DVDGP has managed to beat the S&P 500 by 4.8%, all while offering a safe 4% yield with double-digit dividend growth. One will be the weekly watch list article (the best dividend stocks to buy in April). The other will be the update on the Deep Value Dividend Growth Portfolio. 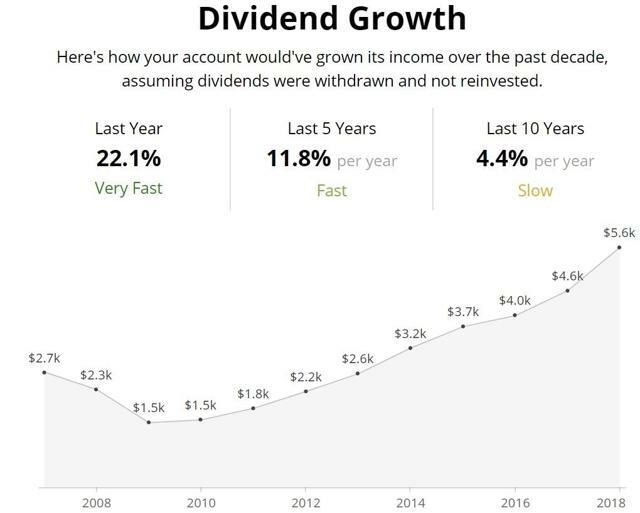 I'm also tracking updates to my new Bunker Dividend Growth Portfolio (100% undervalued dividend aristocrats and kings) anytime there is a change to that portfolio. Finally, my latest retirement portfolio update explains how I've finished recession-proofing my life savings. I've spent 23 years trying to find an investing strategy that can consistently achieve great returns that will enable me to achieve my dream of financial independence. While there are many good investment strategies to choose from after five years as a professional analyst/investment writer, I've determined that for me (and many of my readers), three approaches work best. First, I'm focusing on dividend growth stocks because historically, these have tended to significantly outperform the market, both on an absolute and risk-adjusted basis (total returns/volatility). 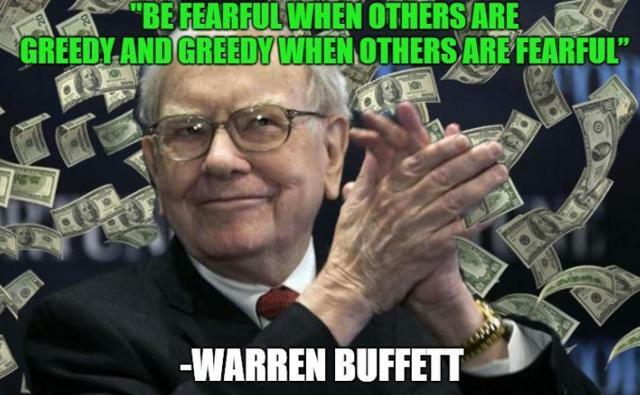 Second, I'm adding a value focus ("be greedy when others are fearful") because like dividend growth, value is a proven alpha factor that generally beats the market over the long term. Finally, I'm targeting low-risk dividend stocks, primarily sleep well at night, or SWAN, blue-chips (such as dividend aristocrats and kings) because they have shown a remarkable ability to generate safe and steadily rising income as well as market-beating total returns over the long term. That's thanks to usually keeping up with stocks during a bull market but falling less during bear markets. In other words, low-risk dividend growth stocks manage to outperform not by "hitting grand slams" but by "avoiding striking out". What evidence do I have that such a value-focused, low-risk, dividend growth approach actually can beat the market over time? Because asset manager/newsletter publisher Investment Quality Trends has been using a pure valuation approach on nothing but blue-chip dividend stocks (based on six quality criteria) since 1966 and has managed to consistently beat the market by about 10% with 10% lower volatility. In fact, according to Hulbert Financial Digest, IQT's DYT focused approach to pure blue-chip investing has resulted in the best 30-year risk-adjusted returns of any investing newsletter in America. 1% annual outperformance for 30 years doesn't sound like much but just 7% of mutual fund managers can even match the S&P 500 over 15 years. Beating the market by 1% over 30 years puts IQT in the elite of professional money managers/analysts. I'm applying the same system to things like younger companies, as well as REITs, YieldCos, and MLPs, which, due to the 25 years of uninterrupted dividend requirement IQT has, excludes these kinds of investments from its recommendations. Only buy deeply undervalued blue chips (off my watch lists) during a market decline. Save 50% of weekly cash (invested in the form of T-bills or long-term Treasury bond ETFs) and wait for pullbacks/corrections/bear markets. During a pullback (average one every six months since WWII), deploy 50% of cash (sell the bonds) in stages. If the pullback becomes a correction, deploy 50% of remaining cash (in stages). If the correction becomes a bear market, deploy the remaining 50%. This approach ensures that I'll be able to avoid hoarding cash for years on end (because market declines are frequent) and will always be able to buy some quality undervalued dividend growth stocks at highly attractive valuations. I'm also considering deploying 50% of my real savings into the best-undervalued dividend growth opportunities on a monthly basis with the other 50% building up liquidity for market pullbacks (more on this in a second). I use the same valuation-adjusted total return model that Brookfield Asset Management (BAM) uses, and it has a great track record of delivering 12-15% CAGR total returns (in fact, it's its official goal as a company and it usually exceeds that target). Each month, I buy $500 worth (rounded up to the nearest whole share) of any existing portfolio positions that remain on the active buy list (fair value or better). Each week, I buy $500 worth of any new stocks that make it onto the "top 5 high-yield blue-chips/fast growers, aristocrats/kings" watch lists (stocks rotate on and off). But that's only if the long-term total return potential is 13+%, which is the official portfolio hurdle rate. If opportunistic buying opportunities appear (like a 5+% one day crash due to an earnings freakout), then I can move up the next month's buy to that day. Stocks are only sold if the thesis breaks or a stock becomes 25% overvalued (then sell half) or 50% overvalued (sell all of it), and the capital is reinvested into new active recommendations. Again, this is purely a tracking (model) portfolio. I'm not yet putting real money into it until the late 2019 or early 2020, once I've eliminated all margin from my portfolio and started saving up cash (in the form of either ultra-short-term bonds or long-term bonds, depending on the state of the economy). The reason I'm tracking this portfolio is to determine if the best use of my savings in the future is a combination of 50% dollar cost averaging and 50% opportunistic buying during downturns, or a 100% focus on downturns only. 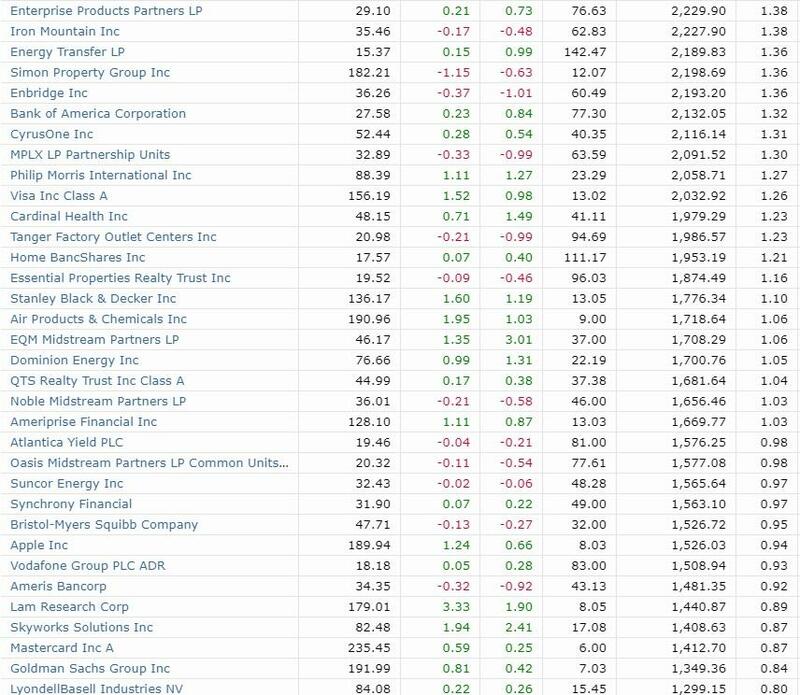 Late 2018 (worst correction in 10 years) was an ideal time to buy quality dividend growth stocks at steep discounts. DVDGP's early returns have been sensational (small profit in December and 10% gain in January vs. S&P 500's 8% January rally) mainly due to starting the portfolio when valuations were at their lowest levels in years. But many investors want to also deploy cash on a consistent basis. The monthly DCA buys of all active buy recs are our way of simulating that and testing how much alpha this investing system generates in a rising market. Ultimately, DVDGP represents the culmination of my 23 years of experience and is designed to be a safe income growth portfolio that almost anyone can use. Or to put another way, if I were managing a pension/endowment fund, this is what the equity portion of that portfolio would look like. Thus it's also safe for most readers, as most of its holdings are "widows and orphans" stocks including plenty of dividend aristocrats and kings. How can you use DVDGP? Mainly for investing ideas, and not necessarily tracking it move for move (it owns 76 companies and most people prefer a more concentrated portfolio). Since I'm an analyst for Simply Safe Dividends (researching over 200 companies per year), I am basically building out a smart beta ETF with DVDGP. One that yields double the S&P 500, has faster dividend growth and that should be able to outperform it by a wide margin over time (or so my total return model says which is why I'm testing it). If the strategy works as well as expected I may partner with Brad Thomas and Chuck Carnevale to turn it into a closed-end fund. That would allow investors to profit from the portfolio but avoid the problems money managers have with redemptions forcing them to sell during market declines when they should be buying instead. 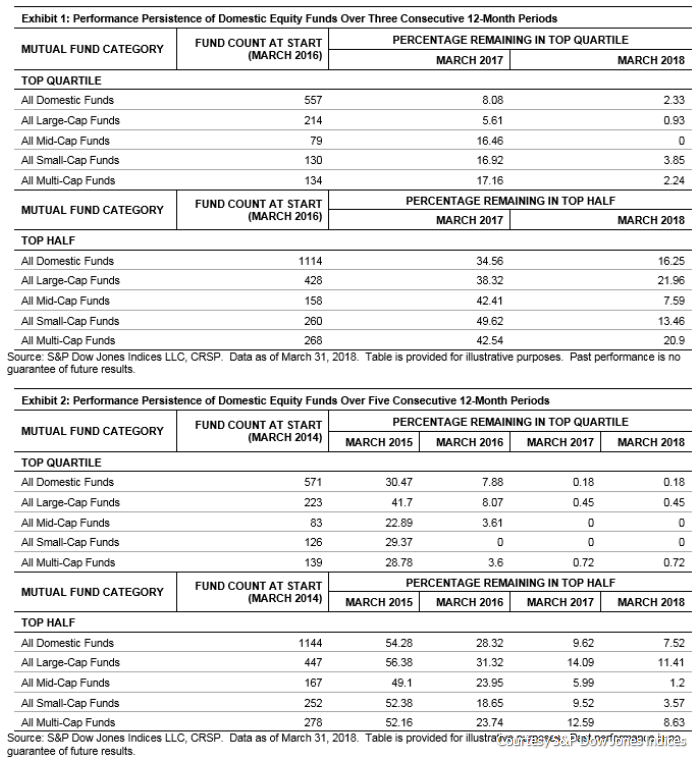 Think of DVDGP as a quality screening tool and master watch list of dividend stocks I consider worth owning for most investors. Then use it to help build your own watch lists and then buy those companies when they hit fair value or better. Over the past two weeks, I added one new company to the portfolio, EOG Resources (EOG), which consisted of a starter position of six shares at $94.67. That's because EOG is my favorite pure-play oil producer, courtesy of its super low costs, world-class management, and a plan to deliver 19% long-term dividend growth as long as oil prices remain at $50 or above. Finally, last week I added 10 more shares of CVS Health (CVS) at $53.36 because it's currently my highest conviction blue-chip buy (for reasons I'll explain in an article this week). 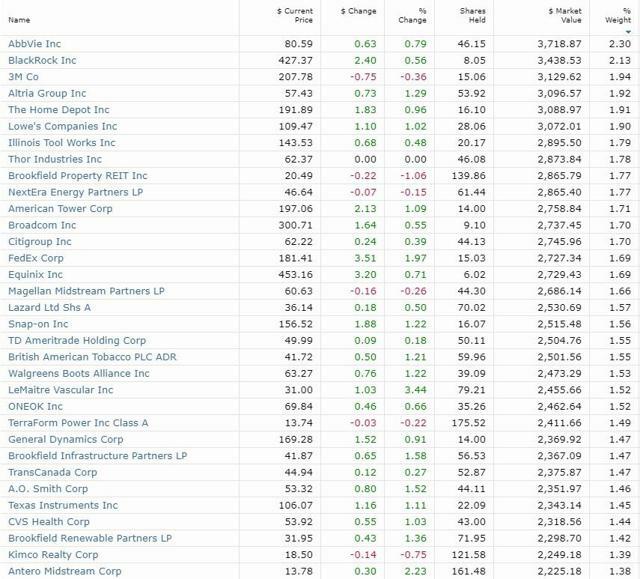 Now it's important to remember that this portfolio is designed to dollar cost average, by opportunistically buying good to great companies at good to great prices. 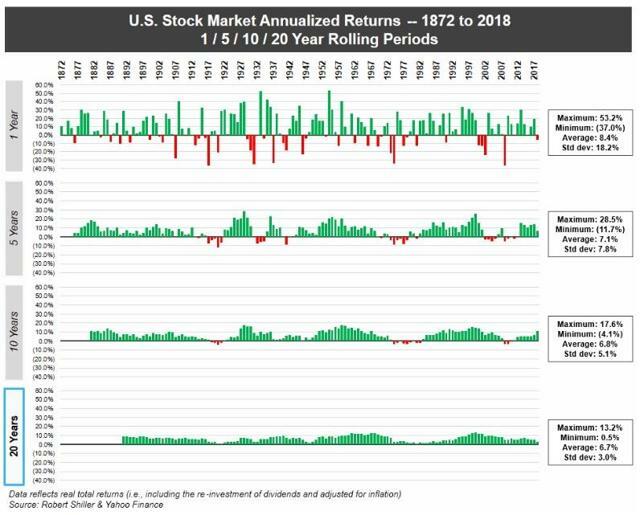 It's based on the "time in the market is more important than timing the market" strategy that is supported by nearly 150 years of market data and dozens of investing studies. That's why DVDGP (and BDGP) continue to make opportunistic buys as part of their monthly dollar cost averaging. This will continue even when the yield curve, the best recession predictor in history, officially starts its three to 16-month recession countdown. 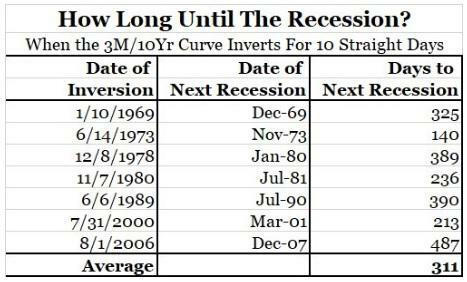 Since 1969 an inverted yield-curve for 10 consecutive days has always meant a recession (and bear market) were coming within 16 months (average of 10). However, this is not a guarantee because 7 data points isn't statistically significant and just should this occur, then a recession and bear market in 2020 merely become highly probable. All my model portfolios are designed to cash in on the time tested approach of long-term dividend growth investing and thus steady purchases, based on my watchlists and rules outlined in the introduction, will continue even if a recession appears imminent. 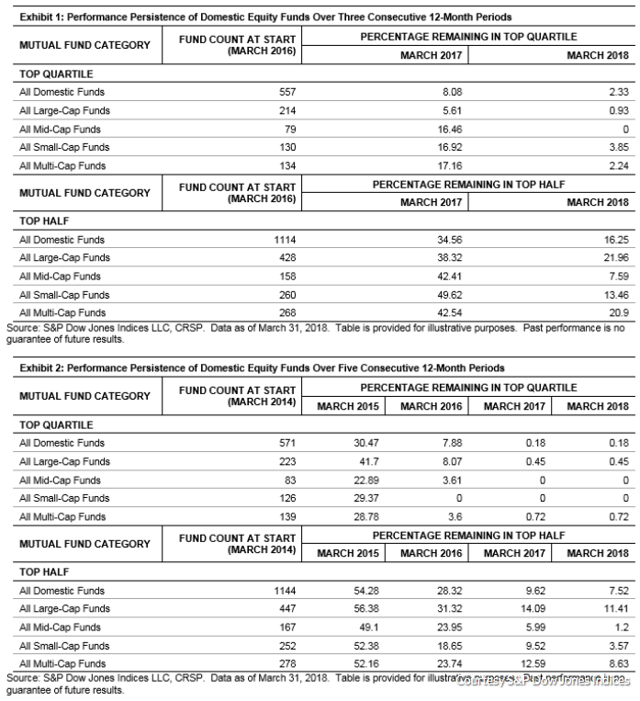 (Source: Morningstar) - Data as of March 29th close, CWEN is no longer owned by the portfolio because I sold it before it cut its dividend by 40%. We're mainly focused on large-cap US dividend stocks because the goal of this portfolio is to only own low-risk SWAN stocks. Low-risk is defined as low-risk of a dividend cut during a recession. Note that in reality many of our large-cap blue-chips have significant overseas sales, so we have plenty of exposure to global growth markets. Due to the preference for undervalued stocks, we're overweight high-yield, hard asset, and cyclical companies. I'm imposing firm sector caps to ensure good risk management. No matter how good the bargains may be, it's never a smart idea to let your portfolio get too risky. Due to most of our energy stocks being midstream corporations or MLPs, I'll be capping that sector at 20% to limit exposure to that industry to 15%. The portfolio's income is likely to be concentrated into the highest-yielding names, at least until it becomes more diversified over time. A good rule of thumb is you want to limit income from any one position to 5% or less. We've now achieved that goal in DVDGP. That's so that some of the riskier positions (like level 7 quality dirty values) don't cause a significant hit to the dividend stream should their thesis break. While we may never fully get to the dream of daily dividend payments, the portfolio might get close. And the monthly income flow will smooth out nicely over time and should continue growing rapidly (double digits is the goal). 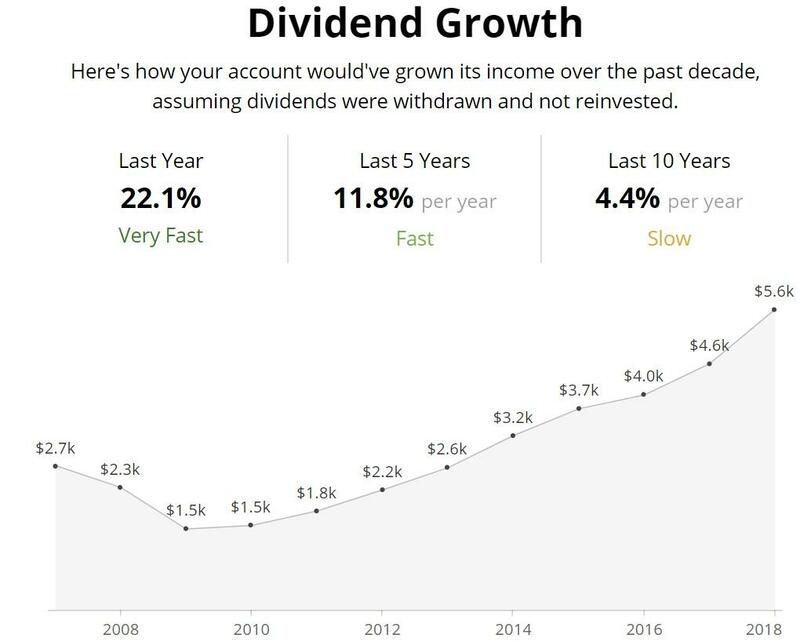 Note that the 10-year dividend growth figures are artificially low because my tracking software doesn't average in anything that hasn't existed for those time periods. Some of these stocks have IPO-ed in the last five years, and so, the one-year and five-year growth rates are the most accurate. These figures are purely organic growth rates and assume no dividend reinvestment. 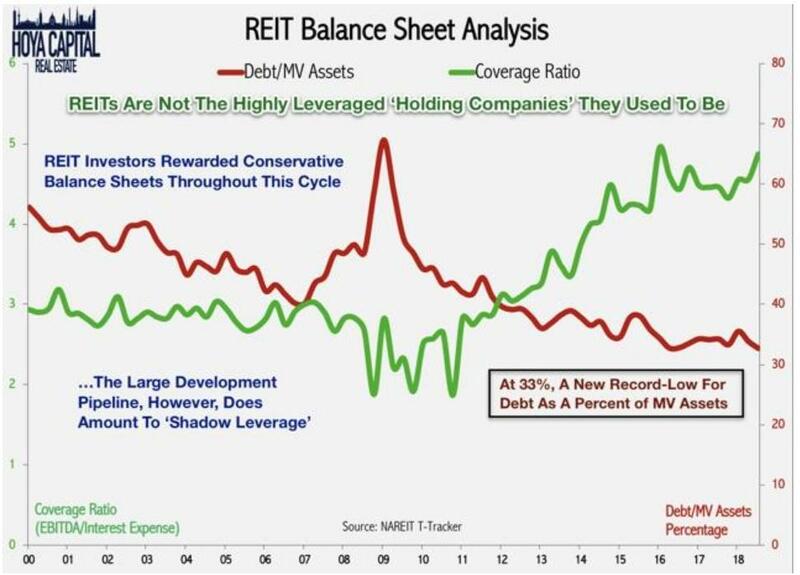 The dividend declines during the Financial Crisis were due to REITs (such as Kimco (NYSE:KIM) and Simon (NYSE:SPG)) which cut their dividend (as 87% of REITs did during the Great Recession) as well as our large exposure to mega-banks. Fortunately, since then, the REIT sector has deleveraged and enjoys the strongest sector balance sheet in history. This means that during the next recession, most REITs will not cut their payouts, especially Kimco, which has a BBB+ credit rating and will be getting an upgrade to A- in 2019 or 2020. 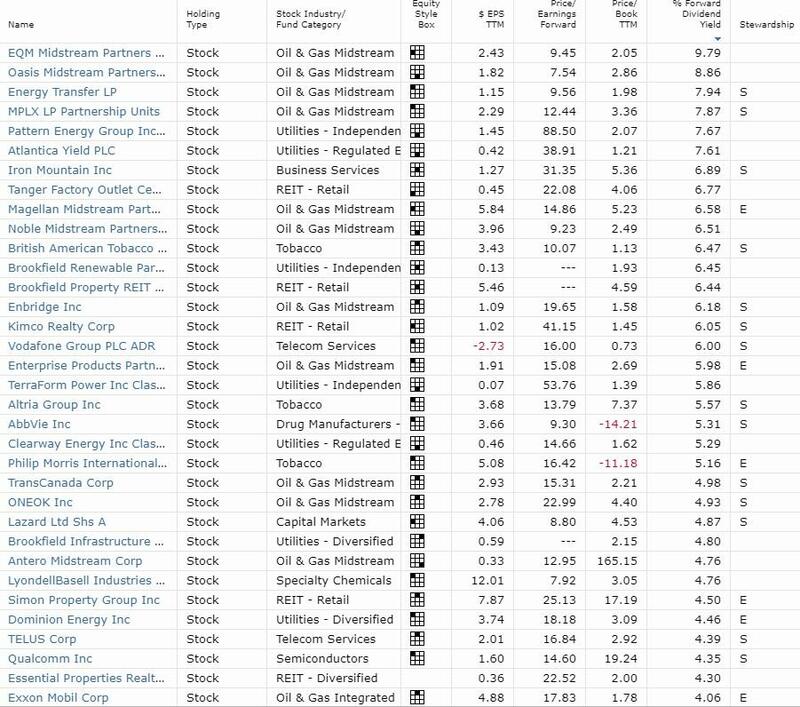 Simon is one of just a handful of REITs with an "A" credit rating. Similarly, I am confident that every bank we own (C, JPM, BAC, GS, HOMB, ABCB) will maintain its dividends through future recessions (though they are likely to be frozen). 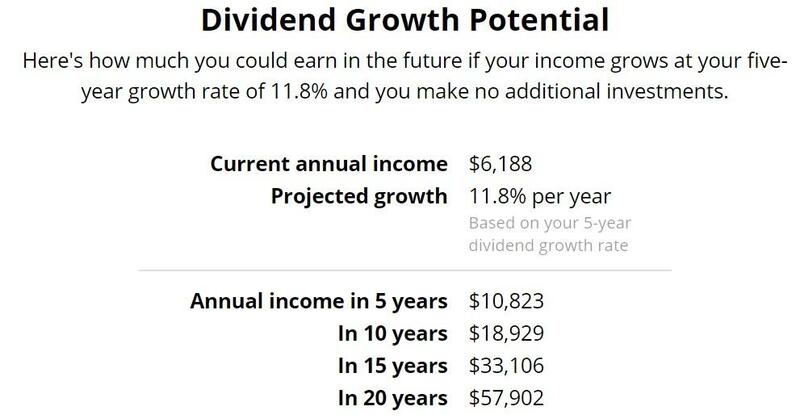 There is no official dividend growth target, though I'd like to at least maintain long-term dividend growth (either 1-year or 10-year) which is above the market's historical 6.4% payout growth rate. 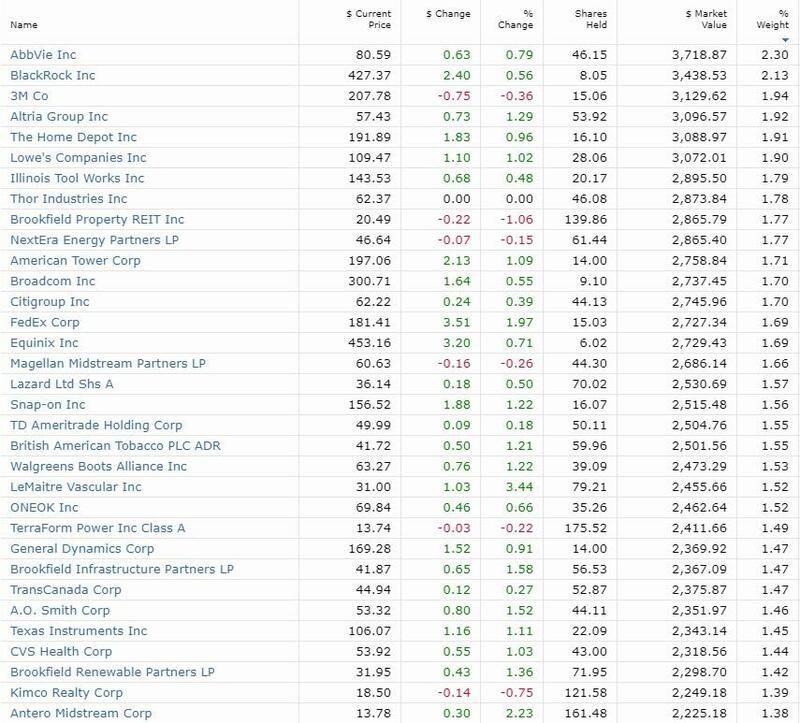 The huge jump in the 1-year dividend growth rate is courtesy of some of our semiconductor stocks, several which raised their dividends by over 100% in the past 12 months. While maintaining 11.8% dividend growth for 20 years is likely beyond the portfolio's ability, according to Morningstar, the projected EPS (and thus likely dividend) growth rate is about 11% over the next five years. The quality of these companies can be seen in the above-average returns on assets and equity of this portfolio (good proxies for quality, long-term management and good corporate cultures) as well as faster projected earnings growth rates. DVDGP is also far more undervalued, offers a much higher yield and should achieve far superior dividend growth compared to the broader market. That's due to corporate America's bigger focus on buybacks vs. dividend hikes for most non-dividend-focused companies. As an added benefit, the average market cap is smaller, providing yet another alpha factor (smaller stocks tend to outperform). Note that the overall focus is on blue chips, which means that the average market cap is likely to rise over time (but remain far below the market's $100 billion average). Beating one's target benchmark is extremely difficult, even for professional money managers. That's because "hot funds" see lots of new money flows which makes it harder to recreate that success the next year. In addition, during market declines, retail investors pull money out causing professional money managers to be forced sellers instead of buying at fantastic valuations. Thus, just 0.45% of mutual funds remain in the top quartile of performers for five consecutive years. This is why DVDGP is a margin-free portfolio, using steady cash inflows (simulating steady and high savings) to buy opportunistically. There is no guarantee that the strategy can beat the market over time, but avoiding the biggest pitfalls of active money managers means I believe we have a very good chance. 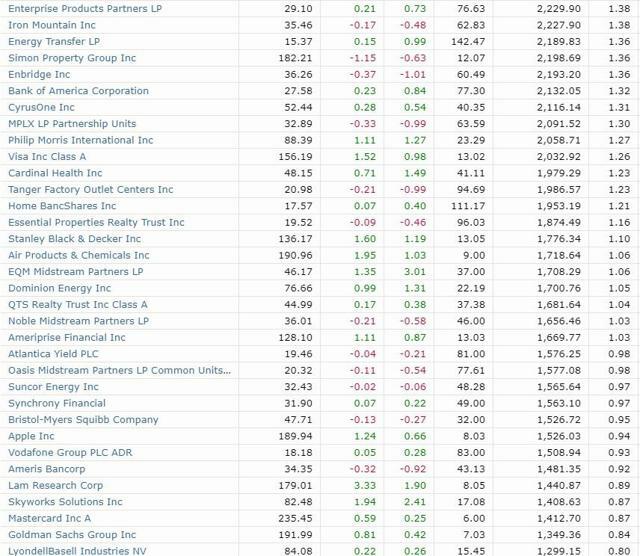 (Source: Morningstar) Data as of March 29th, Clearway is no longer owned, and thus shows up as a 0% gain. The good news is that due to our monthly additions to all stocks that remain active buy recommendations, the more any stock falls in the short term, the lower our cost basis will become, boosting long-term gains. That's assuming the thesis doesn't break, which is where the high diversification comes in to lower the risk of a permanent loss of capital. The downside of our dollar cost averaging approach is that we also raise our cost basis for early winners. This is why I'm testing the DCA approach to see if it can continue to generate alpha outside of steep market declines. However, since we only buy great companies at good to great valuations, ultimately, we should be able to deliver very strong returns. That's because winners tend to keep on winning, and thus adding to winners even at a higher cost basis should help keep the portfolio well balanced and avoid getting too top-heavy with out of favor companies that could cause very long stretches of underperformance. This is why the monthly DCA buys are mostly based on target yields from the DVDGP Bear Market Buy List, to help keep the portfolio well balanced. The sector caps are also in place to avoid becoming too top heavy in any one sector. It's important to remember that there is no "perfect" investing strategy. There are no crystal balls on Wall Street, and the best investors can do is make sound, high probability, attractive reward/risk decisions with their money. My focus over the last five years has been on dividend growth stocks, and over the past year, I've learned a lot in terms of risk management, quality analysis, and asset allocation, all of which I've incorporated into my retirement portfolio. The reason I do these weekly DVDGP and Bunker Dividend Growth updates are so I can test out various investing nuances to fine tune my overall approach and improve my retirement portfolio's results. While DVDGP and BDGP are safe for most people to mirror, don't forget they are effectively experiments, though ones with a high probability of delivering great returns over time. DVDGP's early alpha has been maintained against a red-hot market (which just saw the best Q1 in a decade). That's despite owning 80 companies and making a lot of small but mostly very smart investing decisions on quality companies at historically undervalued prices. But you should use these model portfolios as a source of potential investing ideas, and not as official investing advice about how to manage your own hard earned money. 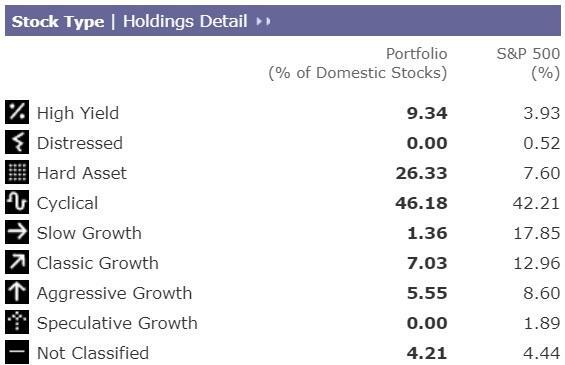 And while I'm confident in each of these holdings (in all my model portfolios) never forget that proper asset allocation is crucial to achieving your long-term financial goals. I can't stress this enough NO DIVIDEND STOCK IS A TRUE BOND ALTERNATIVE. Bonds and stocks are different asset classes, with different financial rights and completely different goals in your portfolio. In most recessions and bear markets aristocrats tend to decline less than the market, but few actually go up. That trend is one that almost all stocks follow, even the bluest of blue-chips. 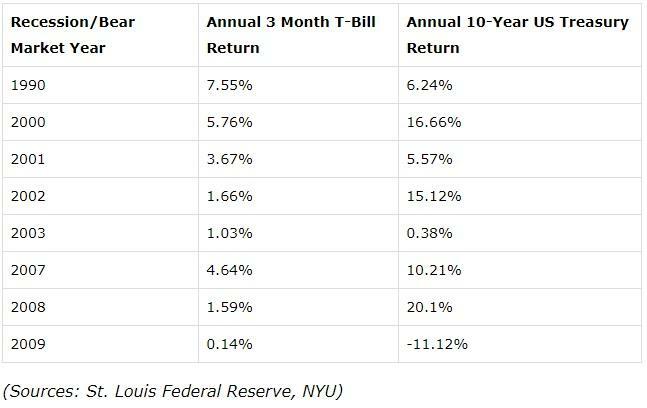 In contrast, cash (T-bills) and bonds tend to appreciate in value, the longer the duration, the bigger the gains in a "risk-off" flight to safety and falling interest rate environment. All my model portfolios and overall stock recommendations are 100% meant to only apply to the equity portion of your portfolio. SWAN stock doesn't mean a company is likely to deliver positive returns in the short-term and especially not a bear market. It merely means a company has a 9 or higher rating on my 11 point quality score and thus is likely to deliver safe and rising dividends over time, even during a recession. While I'm a passionate stock investor even I, Mr "50-year time horizon, gonna work forever because I love my job" has 9% of my net worth in Vanguard's Long-Term US Treasury ETF (VGLT) right now. That's part of my long-term capital allocation strategy for putting new money (and dividends) to work based on the economic conditions and recession probabilities at any given time. Should the yield-curve remain positive then I'll be putting new savings into the ETF MINT (ultra-short-term T-bill ETF) while waiting for "fat pitch" ultra-value blue-chip ideas to pop up on my various watchlists. Meanwhile, I'll keep testing DVDGP and BDGP (plus one other model portfolio I'm testing and might roll out later) to keep improving my overall investing technique by fine-tuning time tested and proven strategies. Disclosure: I am/we are long ENB, KIM, BPY, BLK, ITW, TXN, AOS, AAPL, ABBV, BEP, MMM, LEG, WBA, EPD, MMP, ET, GS, XOM, MPLX, V, MA, BIP, TERP, IRM, HD, SWKS, PM, OKE, C, AMT, BAM, LRCX, JPM, BAC, AMGP, LYB, BTI, TU, SPG, AMTD, BA, CONE, LOW, BMY, AMP, QTS, AY, EQIX, SWK, EPRT, GD, D., LAZ, QCOM, CVS, VOD, APD, HOMB, SYF, OMP, NBLX, EQM, SU, ABCB, LUV, PEGI, EOG. I wrote this article myself, and it expresses my own opinions. I am not receiving compensation for it (other than from Seeking Alpha). I have no business relationship with any company whose stock is mentioned in this article.